Quiet house completely renovated and equipped near Castle Spa cure. Lovely house completely renovated and equipped in the heart of Gréoux les Bains History Center. Inside, you can enjoy a fully equipped kitchen with dishwasher, oven and hob - a living room with TV and WiFi, a separate dining room. Upstairs, a renovated bathroom with shower, sink and washing machine, separated 2 large comfortable bedrooms with cupboards and closets. A total of 4-6 true sleeping in beds! MORE: Children's equipment (high chair and folding bed with foam mattress). Located at the foot of the Castle, in a quiet alley without vehicle passage, 1 minute walk from the lively village center (Regional Food, summer entertainment, restaurants - bars and glaciers). Surrounded by free parking just a few minutes, this home is perfect for spa guests wishing to enjoy the peace while enjoying easy access to the Thermes (10 minutes walk and shuttles to nearby). Nearby you can enjoy many leisure lakes, perfect for all ages! The Vannades Manosque, Lake Esparron de Verdon or Lake St. Croix. You will also be close to the fabulous Gorges du Verdon, most beautiful canyon in Europe. 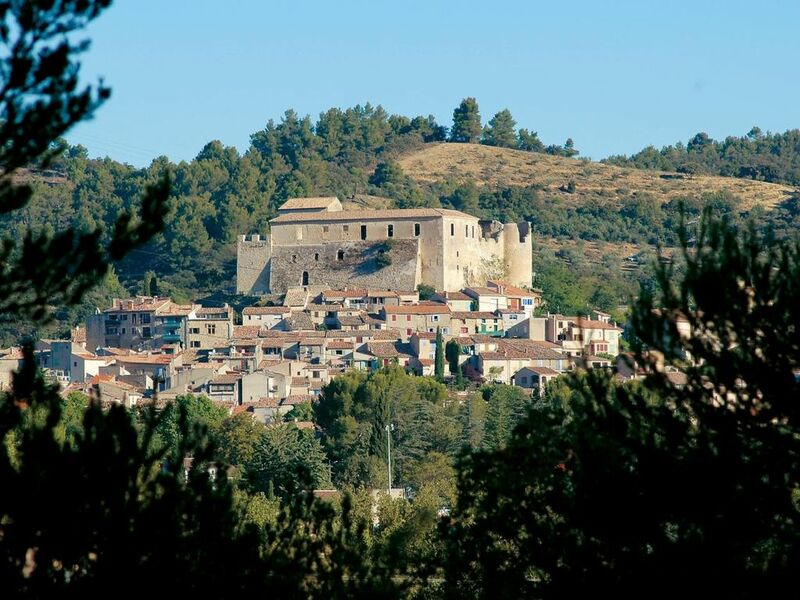 Other sites very special waiting for you, like the village of Moustiers, which is often compared to a nursery with its star suspended in a vacuum, and is one of the most beautiful villages in France. Die Wohnung ist sehr gut, befindet sich in ruhiger Lage, aber trotzdem Mitten in der Stadt. nous avons passé une très belle semaine, maison accueillante et calme. très facile à trouver dans un joli village . Markets of Provence, Roman Cities, Castle. Taxe de séjour 0,40 € par jour et par personne sauf pour les enfants de moins de 13 ans. Remise de 10% pour les curistes sur présentation d'un justificatif. Remise de 10% applicable à toute réservation de 3 semaines minimum.